Towards the end of September 2014, the Kabir Project team went to Lahore to take part in the Kabir Festival organised by Aahang, a student body in the Lahore University of Management Sciences (LUMS). Our visas hadn’t come through till the last minute and we hadn’t been sure of being able to go at all. But we finally made it. When we crossed the border at Wagah, we found bright, young students from LUMS waiting to receive us. It was a wonderful one week that we spent there. We were overwhelmed by the love and warmth with which we were taken care of by the student volunteers. The air in Pakistan felt very alive with political and religious churning (Imran Khan was leading a massive protest rally against Nawaz Sharif while we were still there). We set up a photo and video exhibit of our work at the intersection of mystic poetry and folk music, showed films, participated in some classes, and sang the Kabir and Bhakti songs that we’ve learnt during the course of our own journeys. The moment I wish to describe is the last evening of the festival, on October 2, when Dr Anjum Altaf, Dean of Humanities, took to the mike to thank us for our visit. He described in beautiful words how our relationship took shape. He said that we arrived as guests, became friends by the next day, and partners by the day after that, and now, by the last day, they were us and we were them. Truly, in that moment, as through the whole duration of our visit, all differences seemed artificial and arbitrary. We mingled together to form one stream. It felt appropriate that a Hindu bhajnik mandali from the Cholistan desert in Pakistan was invited to sing with us on that final evening. As Kabir says, “Ham sab maahin, sab ham maahin / Ham hain bahuri akela” (I’m in all, all are in me / I am many and alone). 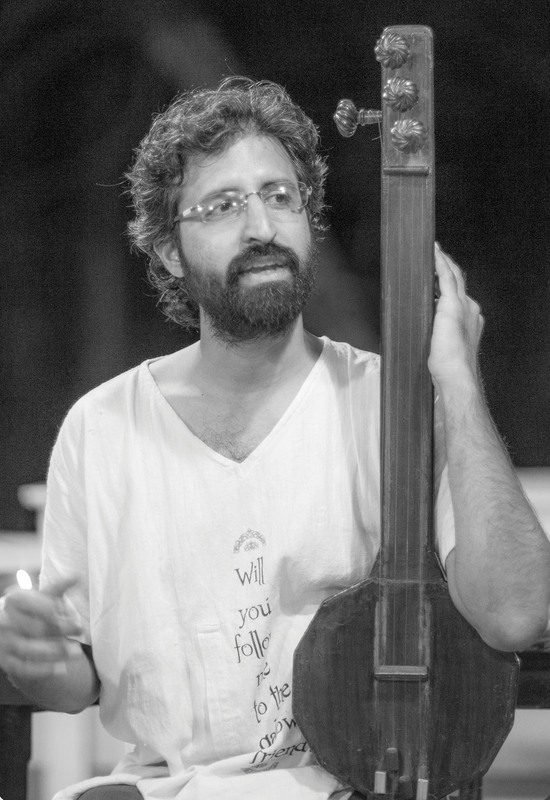 Vipul Rikhi is a member of the celebrated Kabir Project in Bangalore. This comment was published in Aalaap magazine in Chennai and is reproduced with permission of the author. Diwali was on our minds. We were tossing around ideas on how to celebrate the first ever festival of lights on the campus of the Lahore University of Management Sciences. For some, it was too radical a proposition, for others something that just had to be done. It was in that context that a participant produced a newspaper clipping claiming there were only about 50 Hindus in Lahore and that some of them had celebrated Diwali at a private location for fear of being attacked. “That’s just not true,” said a member of the team indignantly adjusting her hijab. Then and there, it was decided to locate a public celebration of Diwali in the city and to go ahead with our own event. The evening light was fading; the timing was right for lamps to be lit if they were going to be lit anywhere. A few phone calls identified three mandirs that might offer what we were looking for – in Model Town, on Ravi Road, and at Neela Gumbad, the latter two in some proximity to each other. We decided to head in their direction to maximize our chances. Our guide suggested we take a rickshaw to the Ghazi Station on the Metrobus and ride it to Bhati Gate in the old city. There we were to ask for directions to either one of the two mandirs. We did as told and were informed with much confidence that there was a mandir close by and another some distance further off. Delighted, we boarded a rickshaw for the nearer one and were soon dropped off at the entrance to the lane headed towards the Badshahi mosque with a gesture that our destination was in the general direction. Having been there a number of times before, we all concluded simultaneously that the rickshaw driver had mistaken a gurdwara for a mandir. Disappointed but undeterred, we engaged another rickshaw with instructions to take us to the other location that was now even further away. Much turning and twisting later, we were asked to disembark in front of a mandir that was in fact a church – the signboard said so quite plainly. We realized that the popular culture had erased the distinctions between mandirs, gurdwaras and girjas in Lahore. Nonetheless, we were at Neela Gumbud and if there were a mandir there, we were determined to find it. Our best bet appeared to be a sleepy policeman with gun across his lap guarding the entrance to a narrow street. Sure enough he knew the location to a mandir and pointed us deeper into the lane while eyeing us with some suspicion. The policeman, whose specific duty must have been to guard places of worship, turned out to be right. We found ourselves in front of a nondescript red gate which announced the entrance to the mandir. Another policeman frisked us and without much more hassle, we were past the gate. Inside, Diwali was in full swing. Our protracted search had made us miss the puja but we were in time for the fireworks, the prasad and the music. There were certainly many more than 50 people in the compound and none of them looked afraid. Ominous, gun-toting policemen were stationed on adjacent roofs but that did not appear to cast any kind of shadow on the festivities. It was Diwali alright, but, when all was said and done, it was Diwali in an alien soil. Half-way through the proceedings everything came to a halt and a prolonged round of speeches ensued. Muslims of various stripes came on stage to profess love for all religions and, for some odd reason, insisted the participants join them in full-throated renditions of Pakistan Zindabad. For many, the response was not good enough and the audience was exhorted to be more vociferous. The celebration of Diwali had turned into a test of loyalty, something that would be no part of a ceremony unencumbered with the need to prove anything to anyone. Ordinary people, however, expressed a curiosity quite at odds with the certainties of the community leaders. My neighbor, sitting on the floor, was quite clearly a Muslim who took me for a Hindu and had questions about the similarities and differences between the two faiths. I answered as best I could and the conversation extended to the relationship of Sikhism to both and whether some Sikhs revered Muslim saints. It occurred to me how badly we needed to teach comparative religion in our schools. Our mission accomplished, we strolled leisurely down the Mall treating ourselves to a congratulatory stop at Bundu Khan’s in the block where the rounded façade of E. Plomer and Sons still exists at the intersection across from Fane Road. At the Alhamra, we took a rickshaw and headed home. Back on campus, we plunged into the Diwali preparations with renewed vigor. The student response was incredible. 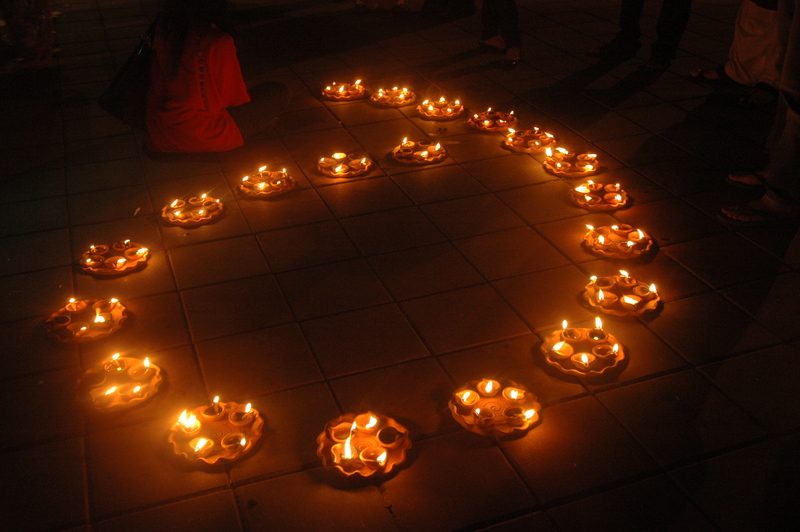 Within a day, Diwali was celebrated with great enthusiasm and fervor. There were no speeches, no talk of erasing differences, no tests of loyalty. It was an occasion for festivity and everyone went about the business of feeling good and enjoying themselves. We sensed at the end that some of the spirit of Diwali had been restored – there was hope that light could triumph over darkness if we set our minds to it. I am a long-time resident in Sweden where I have been living since September 1973. When the initial euphoria of living in a new place subsided and life assumed some sort of normality, it began to dawn upon me that I shared the distinction of longing for a very special place on earth which has a global following: Lahore, the city of my birth. It does not matter if the decision to leave was economic or political, voluntary or under duress and threat. For most old residents of this city, sooner or later, Lahore comes back in their lives as the centrepiece of a personal pride. The mystique of Lahore is special and grows on one with every passing year.